I’m currently taking part in NYC Midnight’s 2015 Flash Fiction Challenge. During each round, you are given a genre, a location, and an item on which to write. For the first round, I was given action adventure/waterfall/clip-on tie. This was my story. Sibling rivalry takes on a new meaning as a brother and sister are locked in combat at the summit of a waterfall. To make matters worse, they both have different ideas about what they are fighting over. The spray of the waterfall left a slick sheen on Riki’s face. When she reached up to wipe away the moisture, she found her arm was just as soaked. The wood remains of the bridge creaked uneasily beneath her boots, creating a series of angular, shoddy platforms between the rocks. She bent her knees to find better purchase and shot forward, throwing another punch. Taylor smiled cruelly as he held the small fertility goddess out over the rushing water just below them. It was only a mere three yards to the sheer drop of the Crying Death Waterfall, where the round stone woman with her ruby bellybutton would plummet 500 feet. Riki wasn’t looking at the statue, though, or even the perilous fall. Her eyes were fixed on Taylor – her brother, her twin brother – and the horrible clip-on tie affixed to his tan shirt. It flapped in the air around them, and he would occasionally raise his other hand to flatten it. Some of his long, dark hair had come loose from the ponytail he had tied it into. She was glad for her bobbed cut, especially when he came roaring at her, his hands grabbing and swinging at her face. She braced herself against a rock and got a hold of his wrists. He loomed over her as they fought for dominance. Riki sidestepped him so suddenly that his weight and momentum sent him right into the boulder. 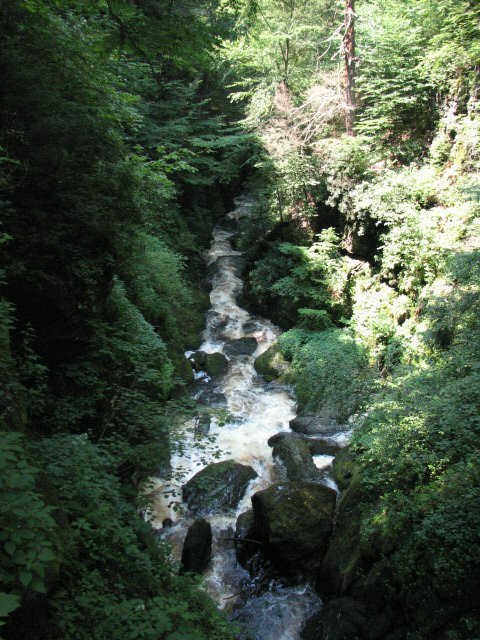 His feet slipped, and just as he was about to fall into the powerful stream, she grabbed the tie. It pulled taut, the fabric keeping him suspended. The flimsy metal fastener started to give, and she grabbed his collar with her free hand. He tried to pull himself forward to safety, but she kept her arm rigid. “Where is it?” Riki yelled as she tore through the storage container. “Where’s what?” Taylor asked. He had his jeans on and hadn’t changed yet for the wedding, even though it was in three hours. Taylor was silent, and when she turned around, his shoulders were shaking. “You’ve got to be kidding me,” he finally laughed. She was starting to shake. How was she supposed to tell him about when she had just started to feel different and confused and panicked about who she was, their dad had let her wear the tie? “So, when you want to be you,” he had said, “you can go in the bathroom and put it on. And if you get scared, you can just take it off. Easy peasy.” She had worn it to prom with her first girlfriend. She had worn it when she had proposed to Elizabeth, a month before he passed away. She had forgotten about it in the mix of wills and grief. It was supposed to be here waiting for her! “Because it was ours!” she screamed, sending a stack of old books across the dirty floor. “I can’t believe you threw away Dad’s tie,” she whispered. The look on his face twisted as she let the material slide from her fingers. For a single second, she saw him fully in the air, falling away from her, and then he disappeared. Coming back to reality felt like being startled out of a dream. Someone was yelling at her. They were filming on location and had been rolling. Her brother’s safety harness hoisted him back up, out of the river. His eyes were white with panic, his mouth open slightly and taking in ragged breaths. It had all been so real – the finality of the decision she made – and now the only thing that tied her to that moment was the falling water, the feel of it still on her face. She had ruined the take because her character was supposed to grab her brother’s hand at that last moment, pull him to safety. That was the resolution. The memory of Taylor’s last look gut-punched her. Either way, it would never be as easy as that. So I don’t do these very often, but there are a few things that have been going on that I want to tell all my lovely new followers, readers, and fans about! 1. 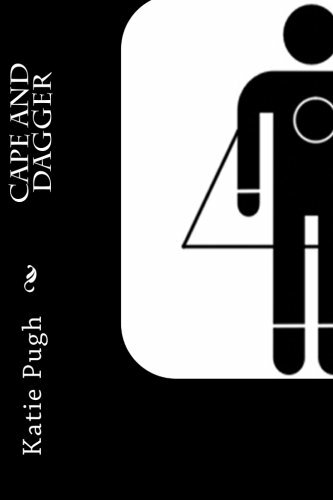 2nd edition of Cape and Dagger is available on Amazon AND at Rickert & Beagle Books. You can also get it on Kindle if that’s your jam. 2. 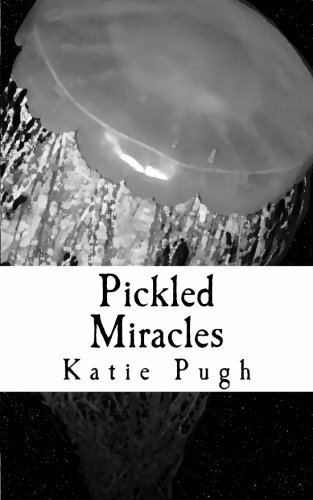 My poetry collection Pickled Miracles is also available in paperback and Kindle from Amazon. 3. Did you know you can follow me on Twitter, Facebook and Instagram under bohemianonrye? It’s true. Ask all the cool kids who are doing it. 4. I’m shooting for 100 follows on Facebook. So tell your friends. Tell your enemies too. I’m not picky. 5. You all are super awesome and I love you. 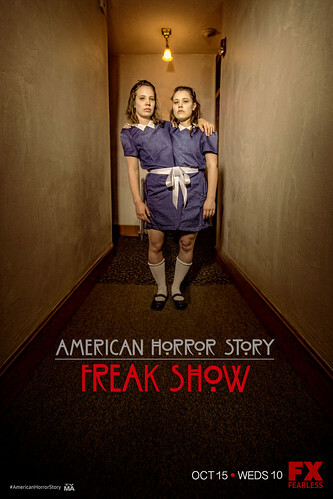 American Horror Story Freakshow = Black Carnival Alternate Universe? I would definitely like to think that American Horror Story was inspired by my Black Carnival stories. Wouldn’t that be awesome? Does this count as a Throwback Thursday? Maybe? Happy Monday, everybody! I know things have been a little different around here. Unfortunately, I came down with a bit of a nasty throat cold that’s been throwing off my regular update schedule. I hope you all have been enjoying the poetry! Looking for something to read? In April, my flash fiction story “Reborn” was published on Fireside Fiction. You no longer have to have a subscription, so now it is free to read! Check it out and tell me what you think! Fireside Fiction is a great publication, and if you can throw any support their way, it would be super appreciated. Take a look at their Support page to learn more.